When a crowdfunding goal is met, it's greeted both with celebration and a kind of quiet awe; strangers believe in the vision sufficiently enough to give it their own hard-earned money. That's a responsibility that's not to be taken lightly. But what happens when a crowdfunding goal is met 100 times over? That's a humbling development, and it's one that the GYENNO One wristband recently accomplished on Pozible. Looking at the goal figures, the GYENNO One wristband was seeking a total of $1,624 for development and construction. Instead, it managed to raise $169,610, and all on the strength of a rather exciting proposition: a wristband that was surprisingly simple in design, but offered an almost staggering array of features. The GYENNO One was born on the strength of the idea that one single wristband could be as useful for sports enthusiasts as it could be for professionals while still being stylish enough to be embraced by the hipster market. Based on what's known about the GYENNO One, that ambitious dream might well be realized; the GYENNO One has absolutely no buttons, instead operating on the strength of a touchscreen coated in Corning's Gorilla Glass 3 material. 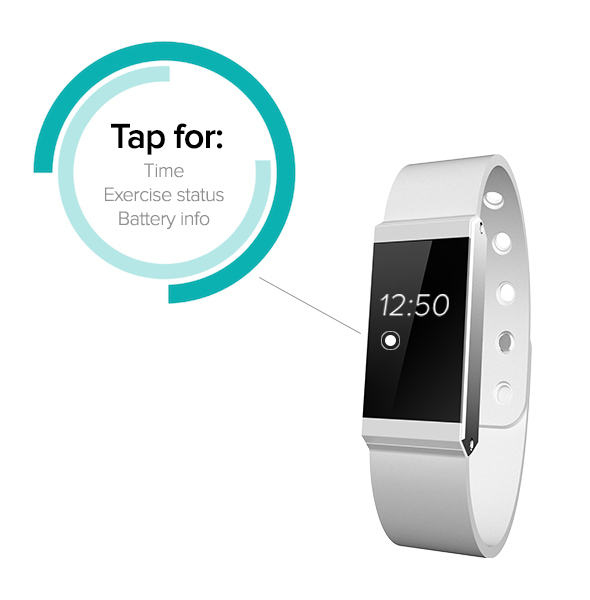 Tapping the display opens up a variety of tools, including the ability to check the time, the current battery load, and information about a workout in progress. It's also said to be “waterproof for swimming and showering”, though given that no depth is mentioned it's likely more water-resistant than waterproof. The features, meanwhile, go on from there. It offers extremely rapid wireless charging; it can go from flat to full charge in 1.5 hours, according to reports, and doesn't actually need to be plugged in to recharge. Wireless syncing with smartphones is also on hand, and easy-to-understand character notifications—when disconnected, an exclamation point appears on the screen—let a user know what's going on. Activity tracking systems, sleep monitoring, and even vibrating alarms come into play here. Since the fundraising portion of the GYENNO One's development has recently concluded, there won't be an opportunity to pick one up via Pozible, but it's likely that, given the response so far, the wait to get one by other channels will be as minimal as possible. This was really an amazing response, and the GYENNO One actually makes quite a case for itself. While we know that the market for fitness trackers is fairly well saturated, this isn't just a fitness tracker. This is a fairly complete solution offered by one of the simplest interfaces imaginable, built with some quality products like Gorilla Glass and offered up comparatively inexpensively; the recommended retail price is $169. That gives this an impressive competitive advantage when it goes onto a wider stage, and may well allow it to compete against the host of other possibilities already on hand. Wearable tech is a huge market, and there are plenty of hardware makers going after the brass ring of market share. But having a clear competitive edge seldom hurts, and GYENNO One has already proven its mettle in the equally-crowded crowdfunding market.